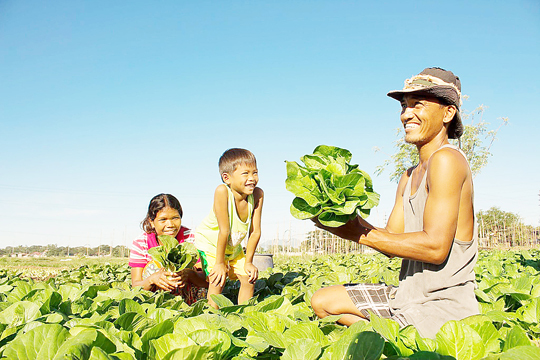 East-West Seed, a tropical vegetable seed company with both Filipino and Dutch roots, has maintained its top position in the recently launched Access to Seeds Index. Improving smallholder farmers’ access to quality seeds is a crucial first step to achieve the goal of feeding the world sustainably, East-West Seed says. Access to Seeds, an independent organization funded by the Bill and Melinda Gates Foundation and the Dutch government, has announced the results of its Global Seed Index from its Amsterdam headquarters. The Index placed East-West Seed in the top rank, besting 13 other global seed companies on their commitment and performance in providing the world’s smallholder farmers access to quality seeds. In November last year, the South and Southeast Asia Index was launched which also placed East-West Seed at number 1 among 24 companies surveyed. This brings four straight No. 1 rankings for the Asia-based company, sustaining its good performance in 2016 when the first Seed Index was released and where East-West Seed led the pack in the Global Vegetable and East Africa indices. Looking at the measurement areas of the Index, East-West Seed earns the highest score in Research and Development due to its broad breeding programs that include a large number of local crops. It also leads in Marketing and Sales because of its extensive distribution channels and the availability of seeds in small packaging, which are accessible and affordable to smallholders. Further, it scores high in the Seed Production measurement area because of its collaboration with smallholder farmers, who account for 95 percent of its production. Read the inspiring story of a young seed grower here.